1. 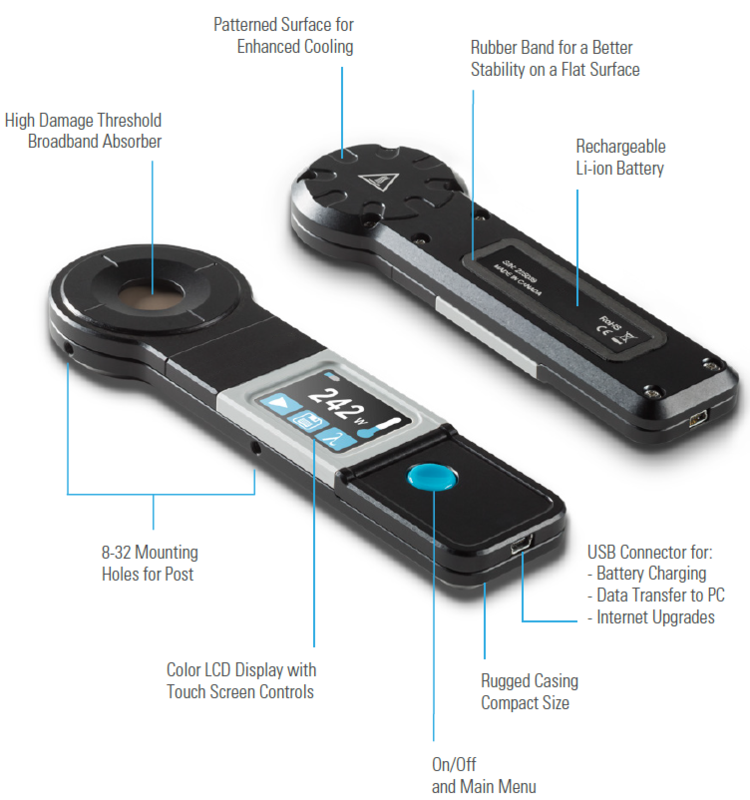 POCKET-SIZE - This mid to high power laser probe is so compact it fits in your pocket! 2. EASY-TO-USE - The touch screen color LCD allows for a friendly user interface. You can make a measurement with just the touch of a button! 3. USER SETABLE - You can set the wavelength, brightness and screen orientation to adapt to your application. 4. DATA LOGGING - Save your data to the internal memory and then transfer it to your PC over the USB connection. 5. FROM LOW TO HIGH POWERS - Thanks to a low noise level and high damage threshold, the Pronto can measure powers from 0.5 W to 250 W.
6. YAG AND CO2 CALIBRATIONS - The Pronto-250 comes fully calibrated: every wavelength between 248 nm and 2.5 μm (YAG), and a real calibration at 10.6 μm (CO2). The Pronto-250-PLUS has an additional calibration for Single-Shot Energy measurements. 7. HANDS-FREE OPERATION - Place it on a flat surface or use one of the 2 threaded holes for safe use with optical stands. 2 Damage to coating may cause above this value. 3 For pulsed lasers and 50usec pulse width. There are 3 types display units available to PS series Power and Energy detectors. · STLM 100, a read out unit is designed to measure the output power of different lasers in combination with a thermopile detector. The preamplifiers integrated into the device and the possibility to set sensor sensitivity, allow using a wide range of sensor heads. The large graphic display offers space for a variety of display and analysis choices. The digital display can be used for determining the energy, frequency and average power. The analogue part with its bar graph display is useful for e.g. laser adjustments. Laser stability can be monitored using the data logger and statistics window. The STPS-LEM2420 is equipped with an USB interface and with a TCP/IP network connector. These ports allow remote control and transferring of all data to a PC. Additionally, a MMC/SD-Card slot to save the data is integrated. A Labview based software for displaying all via USB transferred data is also available. 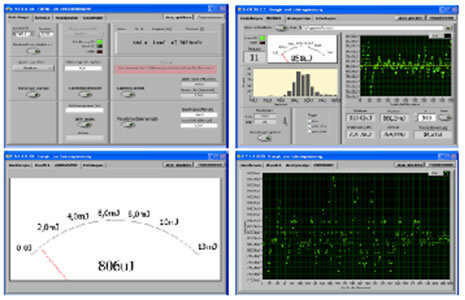 An overview window shows a small analog instrument, Histogram, data logger and also some statistical results. Additionally it is possible to save the showed data into a file. For adjustment work it is possible to switch to the analog instrument or the data logger. Some basic Labview VIs for own projects are available. Because of the simple data structure and the simulated COM-port it is very easy to implement the device in other programming languages or other operating systems. Use this interface to connect your pyroelectric detector directly to your PC. It's simple to program and drivers for the most operating systems are available. This read out unit is designed to measure the output power of different lasers in combination with a thermopile detector. The maximum power is limited by the used power head. 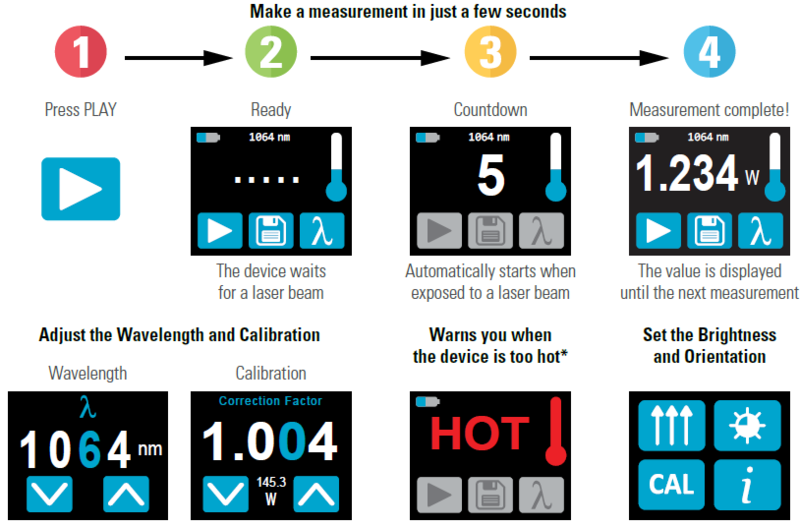 By using this read out unit it is possible to reduce the time constant of the whole measurement system to 1 second. Normally, the time constant of a power head is in the region of 15 to 25 seconds. For connecting the head to the STLM100 a special adapter is required (15pin Sub-D to BNC). This adapter is used for matching sensitivity and thermal characteristic. The STLM100 is equipped with a rechargeable battery and charging unit. It is possible to operate the STLM100 either from the power supply or rechargeable built-in batteries so that it remains versatile and can be adapted to most applications. The batteries are automatically charged when the instrument is plugged into the power supply. The batteries can also be charged when the STLM100 is turned off. The charging circuit prevents the batteries from being overcharged. The state of the batteries and the charging circuit is displayed by two LEDs. · Time between charges: 30 hrs. · Time constant 1 sec. The detectors are coated with a black absorption layer which possesses an almost constant absorption in the wavelength range from 185 nm to 25 μm. Particularly beneficial is the comparatively high sensitivity of the detectors which without an additional amplifier and due to the insensitivity to interferences permits laser pulse measurements in the μJ range. The maximum pulse repetition rate depends on the internal capacitance of the detector as well as the load resistor. All detectors can be directly connected using the BNC connector to the 1 MOhm-Input of an oscilloscope. A small load resistor can be used to obtain the highest pulse repetition rate. Repetition rates of up to 100 Hz are then possible. Load resistors of 100 KOhm are part of the deliverable assortment. 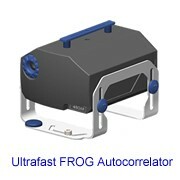 The corresponding sensitivity of the sensors is also specified. 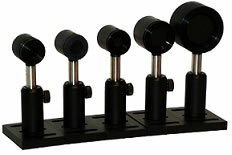 These detectors are a combination of our standard sensors with a flat housing. In these smaller housings the BNC connector is replaced by a SMA connector. The detectors are coated with a black absorption layer which possesses an almost constant absorption in the wavelength range from 185 nm to 25μm. 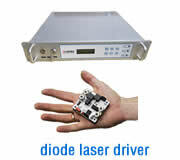 Particularly beneficial is the comparatively high sensitivity of the detectors which without an additional amplifier and due to the insensitivity to interferences permits laser pulse measurements in the μJ range. The maximum pulse repetition rate depends on the internal capacitance of the detector as well as the load resistor. All detectors can be directly connected using the BNC sockets to the 1MOhm-Input of an oscilloscope. A small load resistor can be used to obtain the highest pulse repetition rate. Repetition rates of up to 100 Hz are then possible. In opposition to our detectors of series PEM Standard this detectors are made for higher average power densities and a higher average power. As absorption coating we use our proven black coating with an very high and flat absorption over a wide wavelength range for these detectors. With a smaller load resistor higher repetition rates are possible. We deliver the detectors with two calibration values, for 1 MOhm and 100 kOhm. The PEM 45 HP has switch to change the load resistor comfortable. For the PEM20HP an external resistor with BNC-connector is inclusive. On request a flat housing with cable output is possible. 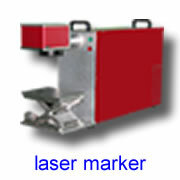 Main applications for this detector are pulse lasers with high power density (Excimer-, CO2-TEA-, Nd-YAG-Laser). With this device we offer a sensor that can be used in a wide range of applications due to a high damage threshold, a short time constant, relatively high sensitivity and high aperture. A special feature is a switch on the backside of the PEM45K allowing a choice between high sensitivity or a short time constant. These sensors have a thin metallic or black absorption layer leading to a faster heat transfer to the sensor element. Repetition rates up to more than 2000 pps. The spectral behavior is flat in the VIS and NIR but for longer wavelengths the absorption properties have to be taken into account. 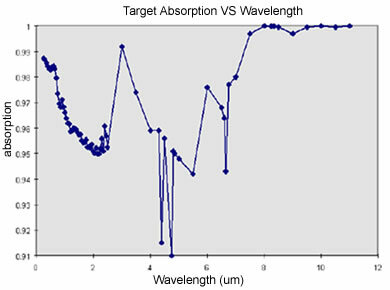 Main application is the use at one wavelength. The metallic coating of the two UV types is more stable in the ultraviolet region than the organic black coating. STPEM VUV Series energy detectors are special Design with vacuum flange for 157nm and all other wavelengths where stirring gas or encapsulated beam guiding are used. The detectors are leak tested. The STPEM12E is a 12 mm diam. Sensor, combined with a low noise preamplifier. So it is possible to measure smallest laser energies. To use the whole dynamic range of the built in sensor element, the detector is equipped with a switch for changing the amplification. 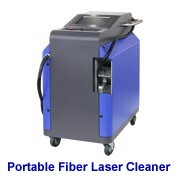 We offer this detector with two different coatings. For use at different wavelengths we recommend our reliable broadband black coating, whereas for high repetition rates and the UV range we recommend the metallic coating. Higher sensitivities and repetition rates are possible on request. This pyroelectric detector head STPEM45KUSB respectively STPEM45USB is a combination of a robust pyroelectric sensor with a read out electronic with USB-port. It can be connected to an oscilloscope using the BNC-connector or to a PC using the USB port. In USB mode the BNC connector is an external trigger input. The output signal is transferred to a connected PC via USB. The device is powered from the USBport. To display the measured values and user friendly software is available. The Pyrobox communicates with the computer using ASCII code and is very easy to integrate into your existing software program or system. The PEM USB is an inexpensive solution for long time tests, stability tests and OEM applications. This detector is the result of the combination of a very sensitive and low noise sensor with a high quality preamplifier for lowest laser energies. In comparison to other products in this class of sensitivity our detector features a large aperture and a windowless design. A comfortable user interface allows a comfortable operation with a lot of display and analysis possibilities. For initial operation no driver installation is necessary. For own applications a DLL and a Labview library is available. The SOPM150 is a versatile power monitor for use in the lab and for laser servicing as well as for OEM applications. Low cost and simple configuration. Basic system just includes base module, detector head, software and carrying case. Wide wavelength ranges: 190-950nm; 800-1550nm; 800-1650nm or 400-1650nm. The SOPM150 is small enough to fit into your pocket and is USB powered and controlled. Each head is automatically recognized and its individual calibration data are uploaded to the system. In addition, the user may load up to 5 separate filter curves. Thus, the dynamic range and functionality of the unit can be expanded while ensuring proper calibration. The graphical user interface is intuitive to use and easy to read! The software includes a scope function, data logging and a large, digital display. 1) Base module: SOPM150; and 2) Detector heads. Please select suitable diode materials for specific wavelength ranges. The SOPM series of optical power monitors employ photodiodes to measure optical power. Precision dual transimpedance input stages provide for high common mode rejection and linearity throughout the full dynamic range of the system. These optical power monitors are used for the measurement and monitoring of optical power from the UV to near IR. The output is a voltage linearly proportional to power. The fast response time at high signal-noise-ratio makes the OPM series particularly useful in systems control feedback loops, such as in fibre alignment systems. 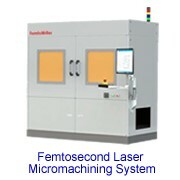 The high sensitivity and wide dynamic range allow measurement of fibre coupled lasers and LEDs alike. Several options of photodiode material and optical input, including free beam input, make these units useful in a wide range of applications including non-telecom metrology. A wide variety of modules are available with TTL-compatible interfaces for full parameter control. The proprietary auto-nulling function allows up to 7V of offset nulling. This is particularly useful for eliminating a DC signal component to concentrate on signal changes, such as during component burn-in and life-time testing. The amplifiers are classified according to rise time. Within each classification there are options of enclosure style, diode material, receptacles and numbers of channels. Please consult the linked documentation for full details in each case. 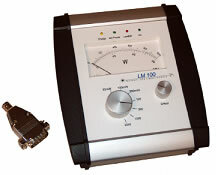 A power meter consists of a display and a detector. The power meter has been calibrated at a given wavelength before shipping.